Bangladesh's batting coach Thilan Samaraweera said that Muttiah Muralitharan and Ravichandran Ashwin can't be compared in a strait-jacketed manner but termed the Sri Lankan legend as ‘gifted’ bowler compared to the Indian tweaker, who is a ‘smart’ operator. Muralitharan finished with 800 Test wickets -- highest by any bowler while Ashwin has raced his way to fastest 250 wickets. “They are two different bowlers. Murali was a genuinely gifted, talented cricketer. But Ashwin is very smart and has developed a skill set which says a lot about him. He has many variations, he can change his line and length but these two are hard to compare," said Samaraweera. The former middle-order batsman is impressed at how the India has had this legacy of producing one great player after another. "I am the biggest believer in legacies. Like Sunil Gavaskar set the benchmark and then Sachin Tendulkar chased that. He set a higher benchmark and now Virat Kohli is chasing that. 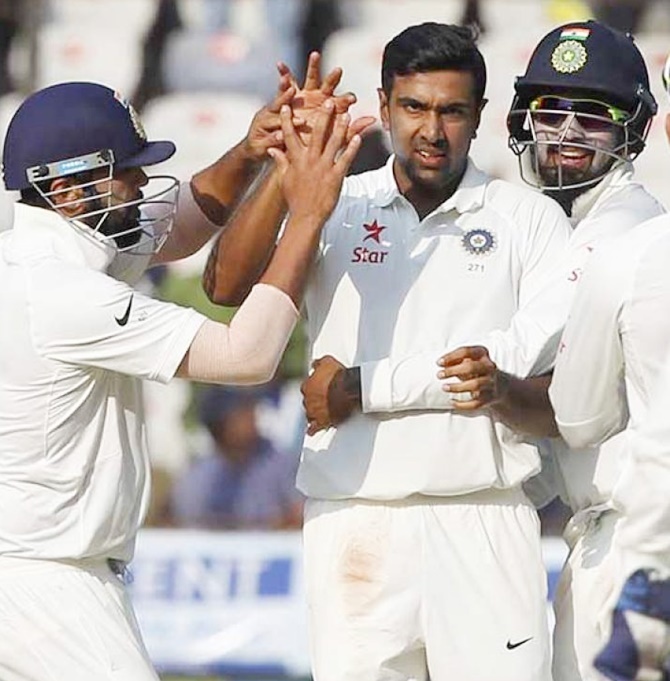 With Ashwin, Anil Kumble and Harbhajan Singh set the benchmarks, and now he is chasing that. If he plays for another 7-8 years, hopefully he is fit, he will be in the range between 600 to 800 wickets." On Bangladesh's chances, Samaraweera said that the second innings batting remains a concern. "I think biggest concern for me is our second innings batting. We were blown away in New Zealand. Hopefully the boys are learning. At the moment, I know a lot of areas are there for improvement but you have to understand how good these spinners are. It's important that we have to start well first half an hour," said the Sri Lankan. For Bangladesh, biggest problem has been their inexperience, said Samaraweera. "The biggest thing is when they play more and more Test cricket, I think they will get more awareness. I spoke to a few batsmen in England series. Some have never faced reverse swing bowling in domestic cricket. So it's hard in international cricket. I can only tell them about the shiny side but they need to do it on their own to feel mentally strong."